Pumpkin Coconut Mousse. Pumpkin and coconut. The two flavors are very different, but they go so well together. 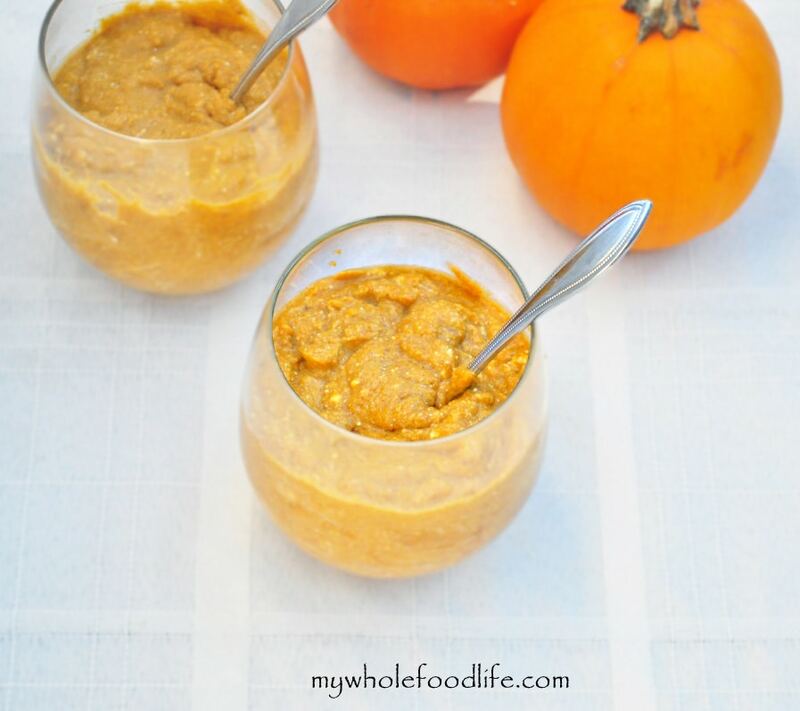 I whipped up this light and healthy pumpkin mousse in practically no time at all. It would be great for Thanksgiving. A new twist on your typical pumpkin desserts and mousse recipe. I used a mousse recipe very similar to my Grain Free Pumpkin Tart filling. If you don’t care for the taste of coconut, you can certainly try this recipe using heavy whipping cream as well. I also already have an Almond Butter Mousse recipe on my blog that is equally delish! It’s like pumpkin pie without the crust. The next morning, pull out the can and open it. Scoop out the solid white part and place it in the mixture. You can save the leftover liquid for smoothies. Using the whipping attachment, whip the coconut into a cream. I did this with my KitchenAid mixer . While that is whipping, make the pumpkin mixture. In another bowl, combine the pumpkin, spices and maple syrup and mix well. Once the “cream” is done, gently fold it into the pumpkin mixture. Chill in the fridge until it is ready to be eaten. Enjoy!